Just thot I share some of the pictures that I took during my recent visit (18 Jul 2004) to Pebble Beach. The place and scenery is simply breath-taking. I would rate it even higher than Ria Bintan although I must still say the the latter is also quite good. But with a temperature hovering around 20 to 25 deg with light winds, the climate is simply the perfect weather to beat the sweltering heat of Bintan. 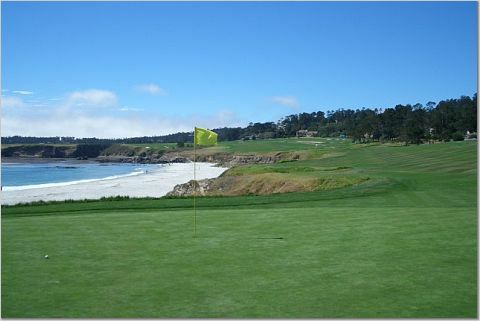 Click here to view the Pebble Beach Album.